Hi Good Folks, I just got back from L.A. rehearsing with my string consort group and we’re thrilled to play a show this Saturday at the Schulman Auditorium in Carlsbad. The group consists of four women string players (2 violins, viola, and cello) plus a jazz rhythm section (guitar, bass, and drums). Together we have a sound that I’d say is mostly jazz but also includes elements of classical music too. Our repertoire consists of pieces that I’ve composed along with my arrangements of Bach and Dave Brubeck and a few Chick Corea compositions. For this show I’ve just completed an arrangement of Brubeck’s classic song “The Duke” and we’ll play it on Saturday for the first time. Stoke! Click here if you want to gather more info about our group including photos and audio clips. 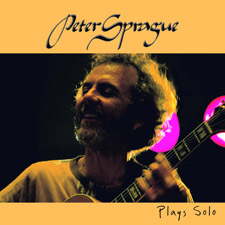 The Peter Sprague String Consort. Photo by Mark Keller. Also, this will be my last gig for a spell, as I’m getting ready to leave for Europe for all of July. I’ll miss you and I’m thinking I’ll take some photos and gather some good stories. If I can fit it in, I’ll send you updates from the road. Kendrick Scott  drums 8 PM Great band and Dianne is a hero! Gunnar Biggs  bass 4 PM We're thinking that libraries are the new frontier for creative music. Gunnar Biggs  bass 1:30 PM We're thinking that libraries are the new frontier for creative music. Peter Sprague  guitar 8 PM We've got a new duo recording out and this will be the celebration for it's entry into the big bad world of reality. 7 PM I'm stoked to play a solo show at this famed guitar store in L.A.
Bob Magnusson  bass 4 PM Taking the Consort to the tree bliss of Idyllwild! 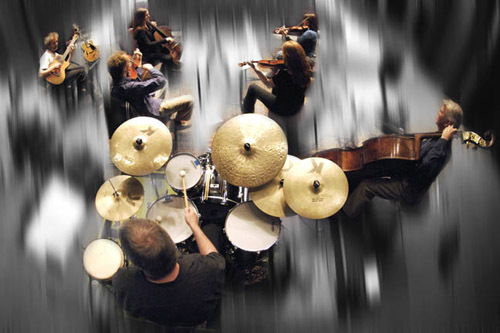 Tom Arospercussion 2 PM We're thinking that libraries are the new frontier for creative music. 7 PM We're thinking that libraries are the new frontier for creative music. David Anderson  drums 8 PM Unreal band coming together to celebrate Stevieland Morris' magic contribution to music. We'll play his great tunes and bring a jazz influence to the mix. Fred Benedetti  guitar 7:30 PM Maestro Benedetti and I will explore the worlds of sound living inside the guitar. Gunnar Biggs  bass 2 PM We're thinking that libraries are the new frontier for creative music. Bob Magnusson  bass 7 PM Heading north for some great music at Soka. Leonard Patton  voice 7 PM Heading south for a solo show. Gregory Hutchinson  drums 8 PM I'm going to be touring with the amazing vocalist Dianne Reeves. Bob Magnusson  bass 7:30 PM 26 Strings and some percussion taking on the world! Bob Magnusson  bass 7 PM 26 Strings and some percussion taking on the world!